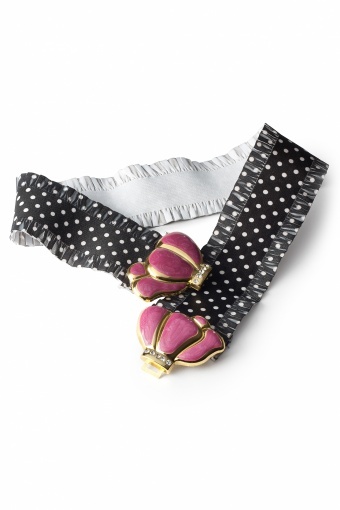 COLLECTIF Elsa Polka Bow elastic waist belt. 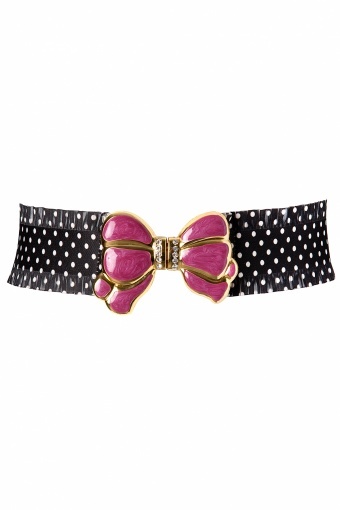 Retro belt in black polkadot and metal bow hook/closure. Matches our swing dresses.